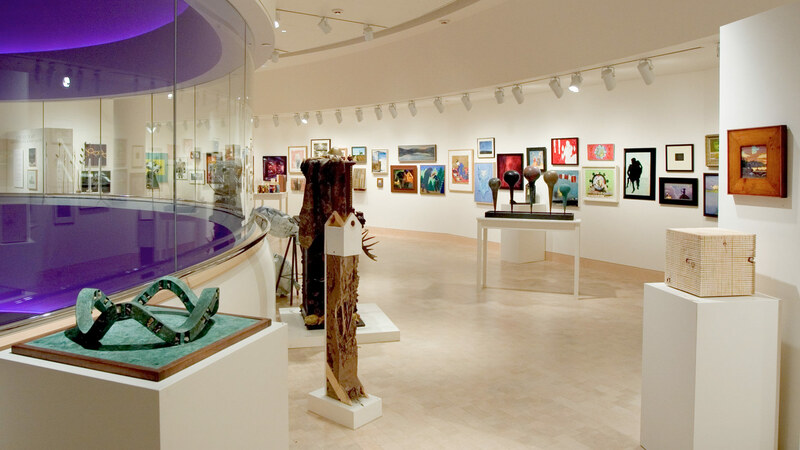 A Decade of Art paid tribute to the rich array of Wisconsin artists who have exhibited with the Wisconsin Academy from 1994-2004, before the opening of the James Watrous Gallery in Overture Center for the Arts. This exhibit featured 100 artists working in a wide range of media and styles, including Tom Uttech, John Wilde, Warrington Colescott, Carol Emmons, T.L. Solien, and Dona Look.